The ZipBooks Small Businesses to Watch award recognizes small businesses displaying innovation and leadership in financial and business practices. 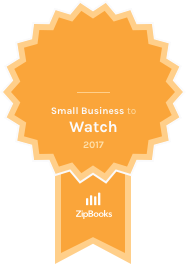 Neenah, Wisconsin — ZipBooks is proud to recognize SiteKitty Digital as a ZipBooks Small Business to Watch for August 2017. SiteKitty Digital was selected across all small businesses using the ZipBooks platform. SiteKitty Digital, founded in 2008, is a Wisconsin-based digital marketing consulting firm that helps businesses grow through lead generation. SiteKitty specializes in generating sales and profit for businesses through a number of digital marketing services including complete lead generation funnels, website design, search engine optimization, and email marketing. SiteKitty Digital is a digital marketing consulting firm that helps businesses grow through lead generation. SiteKitty specializes in generating sales and profit for businesses through a number of digital marketing services including complete lead generation funnels, website design, search engine optimization, and email marketing. ZipBooks provides small business owners with software for online bookkeeping and accounting, invoicing, and time tracking. ZipBooks tools and intelligence help business owners operate and improve small businesses.